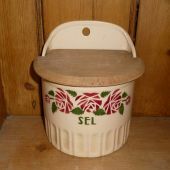 Uncommon red roses design for this salt box in earthenware. 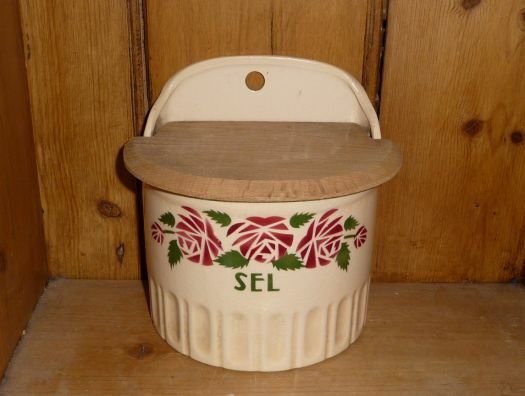 Probably made in Czechoslovaquia for French market, around 1940. Length 15 cm ; height 14,6 cm.